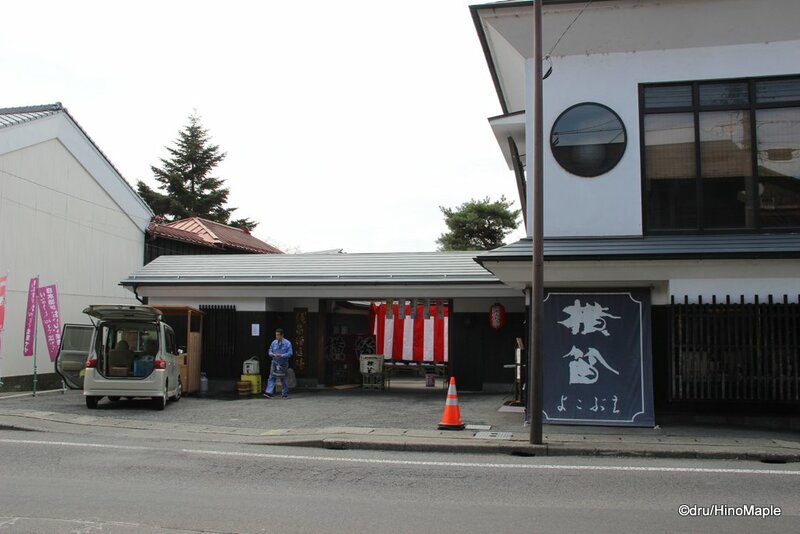 We continue our journey to the 5 sake breweries in Suwa. Today we move closer to the station to the heart of the breweries. Last week we talked about Masumi which is the farthest brewery. While it isn’t very far from the other breweries, the other four breweries are clustered very close to each other and can be visited within 100 meters of each other. Today we look at the farthest of this cluster, Yokobue. 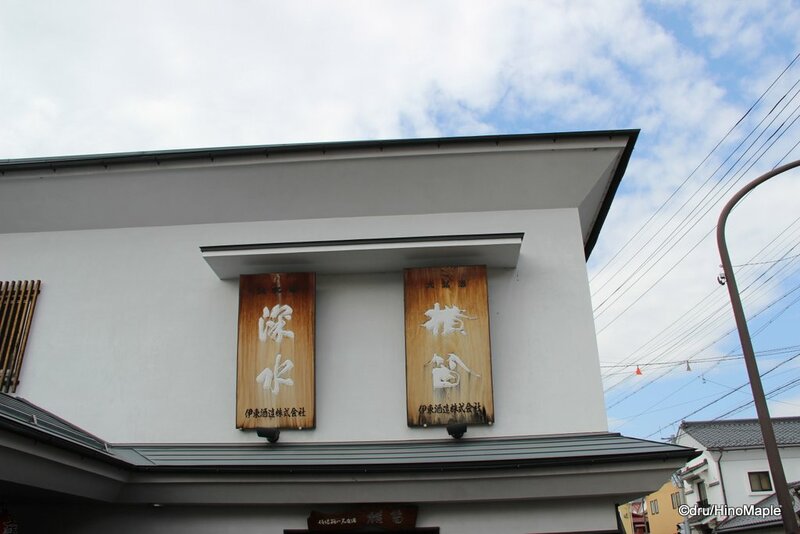 Yokobue is a quaint little brewery that portrays itself as being very middle ground in Suwa. It was not reaching for the stars like Masumi and it wasn’t so small and low key like Honkin. Yokobue is literally translated as “side-flute” but unfortunately their website is not very good so there is little to no information that I could find about their history or why they chose the name Yokobue. During the festival they had only 4 types of sake available. While I’m sure that was more than enough, it was also not their complete lineup. The small parking area they have was completely full and nearly overflowing every time I went. The shop was also pretty busy but it was almost too simple. There were a few fridges showcasing their sake and the day after the festival they had a huge box on a large table. This was filled with masu, the by-product of sake production. This was available to people to take home. I don’t know if it was free or if there was a small charge for a bag, but watching other people make use of it, it appears that it was free for the locals. The day after the Nomiaruki, I returned to Yokobue and bought a couple bottles of sake for myself. Going on the day after, mind you it was raining pretty heavily, was a stark contrast to the craziness of the day before. It was a very quiet place but a few people were still coming in and out of the shop. It felt like a community sake brewery rather than a commercial experience. I was able to get a little help from one of the staff and he allowed me to sample several different bottles of sake. It was a lovely experience and they had some beautiful sake cups as well. I was happy to be there and since he was helping me sample different sake, I had to buy a couple bottles. I was only planning to buy one bottle but I couldn’t help myself. I’m sure the sake had something to do with it. The people in the brewery, when they aren’t too busy, are very knowledgeable and helpful and had the best feel of all of the breweries in the area. The combination of simple and refined was a good match for them. 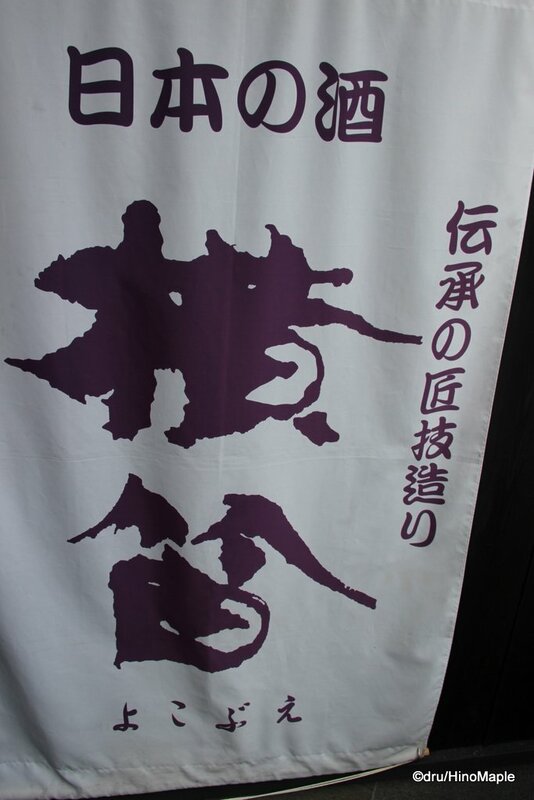 This entry was posted in Chubu, Chubu Food and tagged japan, Nagano, nihonshu, Nomiaruki, sake, Suwa, Yokobue by Dru. Bookmark the permalink.